Ohio State University Extension has conducted liquid manure research on growing crops for more than 15 years in an effort to make better use of the manure nutrients. 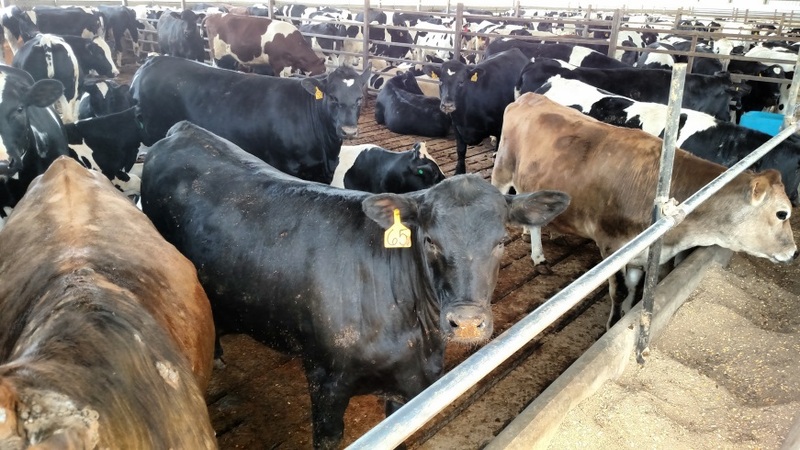 Applying manure to growing crops can boost yields, reduce nutrient losses, and give livestock producers or commercial manure applicators another window of time to apply manure to farm fields in Ohio. Chart #1 below shows the last five years of liquid manure side-dress research on corn plots at the Northwest Station of the Ohio Agricultural Research and Development Center. In these research plots liquid swine and liquid dairy manure were used in pre-emergent and post-emergent plots and compared with incorporated 28% Urea Ammonium Nitrate (UAN). 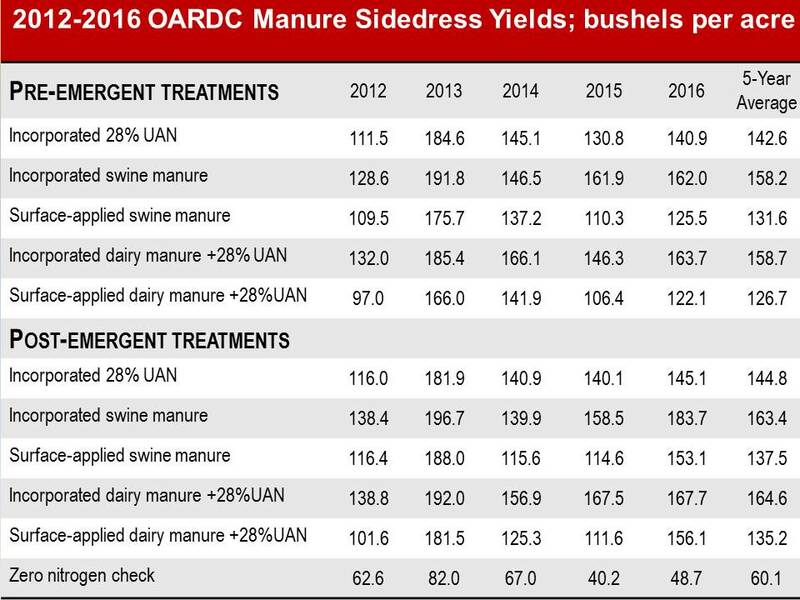 The swine manure application rate was 5,000 gallons per acre and the dairy manure application rate was 13,500 gallons per acre plus 135 pounds per acre of UAN. All treatments received 200 pounds of nitrogen per acre each year. In 2016 liquid beef manure was applied as a side-dress nitrogen source for corn for the first time in replicated research plots in Paulding, Fulton and Henry Counties. Manure was applied with a 5,250 gallon tanker and incorporated with a Dietrich toolbar with sweeps and closing wheels. Manure was compared to 28%UAN in three of the plots and anhydrous ammonia in the fourth plot. Farm Credit Services provided funds to support this study. Manure was applied when the corn was in the V1 to V3 stage and treatments were replicated four times in each field. Field lengths were generally a quarter mile long for each plot. Manure was applied to the Paulding County plot during the 4th week in May. The Fulton and Henry County plots were side-dressed in the 2nd week of June. 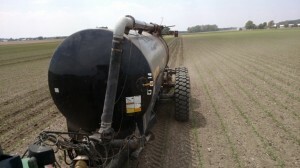 The application rate was between 5,000 and 6,000 gallons per acre according to the nitrogen side-dress needs. Rainfall during the grow season was sparse at two of the plots and more seasonal at the other two plots. 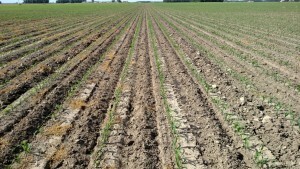 Soil compaction was an issue, especially in Paulding County, and this likely reduced the manure treatment corn yields. The manure side-dress plots were harvested in October. Results showed manure produced similar yields to the 28% UAN in three of the four plots. 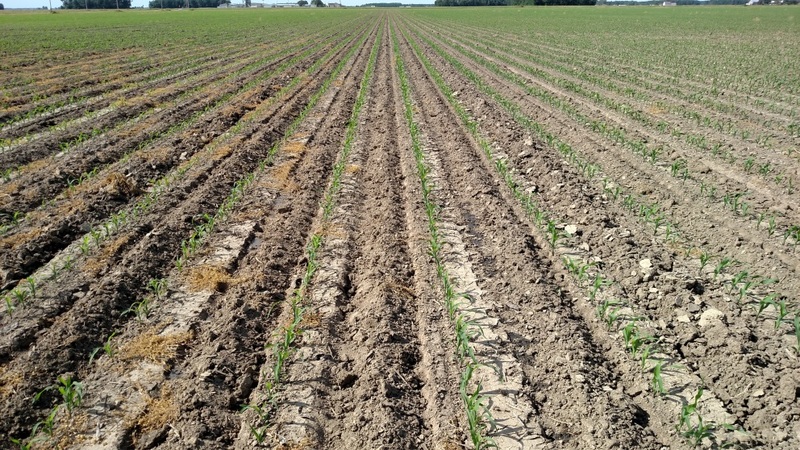 The results of these plots indicate that liquid beef manure can be used to side-dress corn as a replacement for commercially purchased fertilizer. The use of liquid manure to side-dress corn can provide a new window of time for manure application in Ohio and apply manure when the nutrients could be more fully utilized by a growing crop. The long-range goal of Ohio State University Extension’s manure research is to utilize a drag hose to incorporate liquid manure of any species into corn up to the V4 stage. Three years of drag hose manure side-dress plots in Darke County indicate this manure application method has great potential. Below, watch as the drag line manure applicator operates over standing corn at growth stage V2 and V3 without damage to the stand. Posted by Smith at 8:13am December 14, 2016 Posted in Economics, Management. Bookmark the permalink.